Soundproofing in various types of healthcare facilities offers benefits for all occupants, including hospital staff and patients. This is because a properly soundproofed healthcare space creates a comfortable acoustical environment that plays a vital role in supporting communication among staff members, reinforcing patient privacy and well-being, and meeting standards and regulations. Though hospital staff members are generally capable of performing their duties in a noisy environment, they tend to be more fatigued than usual since they will have to exert more effort and energy. Poor psychosocial conditions may even occur for highly trained and experienced hospital staff if their workplace has inadequate acoustic conditions. 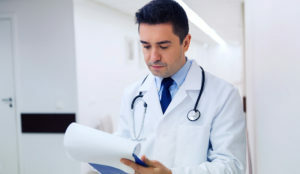 Also, speech intelligibility is critical in all healthcare environments, as the staff members need to be able to understand each other clearly and understand auditory signals at all times. When healthcare environments have poor acoustic conditions, the patients and their well-being are put at risk. Startle reflexes are usually triggered by sudden noises, which can then lead to increased blood pressure, higher respiratory rates, and grimacing for patients. Other than that, patients may suffer from impaired pain tolerance, memory problems, and perceptions of isolation when prolonged loud noises are prevalent in hospital settings. Lastly, patients may benefit from improved sleep in intensive care units with reduced noise levels. For the betterment of the patients and the staff members, installing sound control treatments is essential for every healthcare facility. Acoustic treatments such as ceiling tiles and wall panels are helpful in creating an ideal working environment and reducing ambient noise levels. They also help hospitals and healthcare spaces meet sanitary requirements and regulations requiring patient confidentiality. Rightway can help you out with all your healthcare acoustics needs, from consultation to installation. They have a wide selection of acoustical treatments that can help your healthcare establishment meet the right acoustic and sanitary requirements. They can also help you select the right products for your specific needs. 7993 SW Jack James Dr.